What happens when a young Wall Street investment banker spends a small fortune to have lunch with Warren Buffett? He becomes a real value investor. In this fascinating inside story, Guy Spier details his career from Harvard MBA to hedge fund manager. But the path was not so straightforward. Spier reveals his transformation from a Gordon Gekko wannabe, driven by greed, to a sophisticated investor who enjoys success without selling his soul to the highest bidder. Spier's journey is similar to the thousands that flock to Wall Street every year with their shiny new diplomas, aiming to be King of Wall Street. Yet what Guy realized just in the nick of time was that the King really lived 1,500 miles away in Omaha, Nebraska. Spier determinedly set out to create a new career in his own way. Along the way he learned some powerful lessons which include: why the right mentors and partners are critical to long term success on Wall Street; why a topnotch education can sometimes get in the way of your success; that real learning doesn't begin until you are on your own; and how the best lessons from Warren Buffett have less to do with investing and more to do with being true to yourself. Spier also reveals some of his own winning investment strategies, detailing deals that were winners but also what he learned from deals that went south. Part memoir, part Wall Street advice, and part how-to, Guy Spier takes readers on a ride through Wall Street but more importantly provides those that want to take a different path with the insight, guidance, and inspiration they need to carve out their own definition of success. 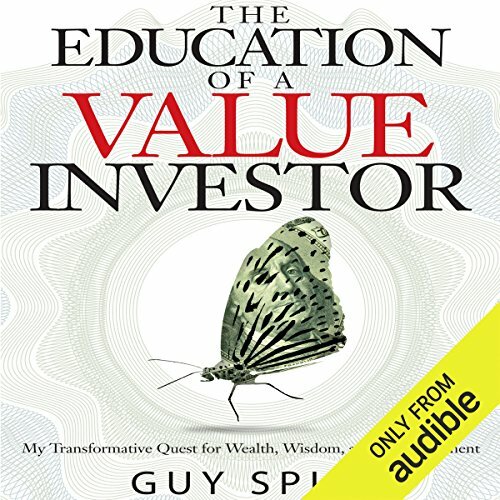 ©2014 Guy Spier (P)2014 Audible Inc.
Would you listen to The Education of a Value Investor again? Why? What was one of the most memorable moments of The Education of a Value Investor? 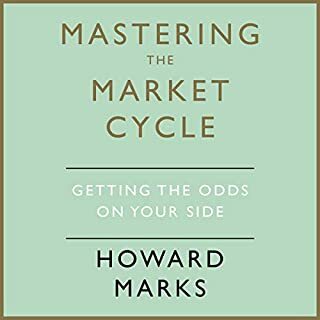 I think the most interesting insights surround the things that Guy avoids doing - for example: daily use of Bloomberg terminals, engaging too closely with management (they are good salesmen), talking publicly about investments (as it creates attachments to a particular thesis which can be hard to move away from). Also how Guy uses investment checklists which cover everything he has learned both personally and from other investors - Buffett, Pabrai etc. Put in to practice, these checklists will avoid investment mistakes - so readers can take a lot from them. All of this is really practical advice which can be put in to practice easily. 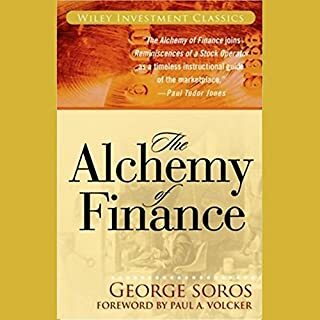 I think it is important to be careful which investment books you read, there are a lot of them which can have a negative effects on your investing. 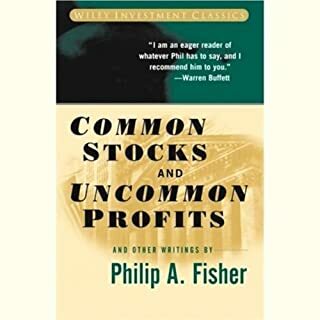 This book is a particularly good one and although it is written in a very different style to others, it is right up there with other "must read" titles for Value Investors such as Common Stocks Uncommon Profits (Fisher), Essays of Warren Buffett (Cunningham), Intelligent Investor (Graham/Dodd), Margin of Safety (Klarman), Competition Demystified (Greenwald). 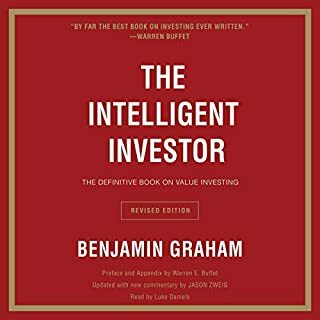 Would you consider the audio edition of The Education of a Value Investor to be better than the print version? Yes, as this is easy to listen in a car, while gardening etc. Have you listened to any of Malk Williams’s other performances? How does this one compare? 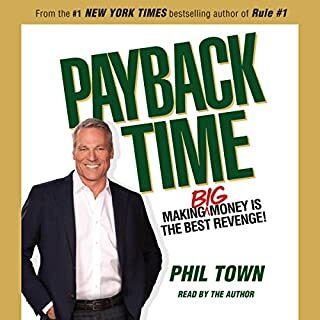 This book is what the title suggests - the author talks about his life story how he came out of first class universities, got burnt in an investment bank and started his hedge fund. 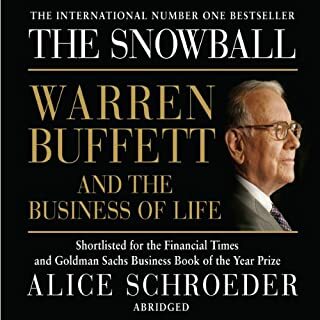 To a great extent it is about the people inspired him (such as Warren Buffet) as a role model in investment and life. 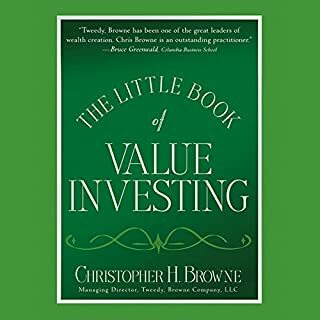 Personally I was looking for a book on value investment - the book did not offer much in that subject. I'm not sure, I found very little useful in it. It struck me as self indulgent. The narrative is almost gushing in its delivery regardless of the subject matter. Its hard to listen to for an extended period. If you could play editor, what scene or scenes would you have cut from The Education of a Value Investor? If you are looking for useful tools to improve your investing, I would look elsewhere. 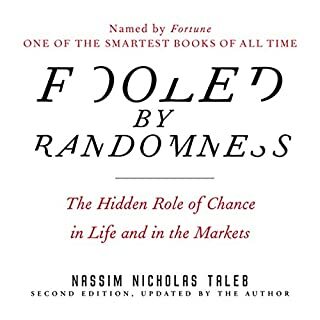 A book based on values and principles rather than just pure investing tricks. 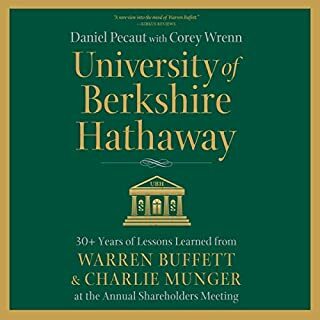 Gives a great account of how important it is to have a mentor and depicts the greatness of warren buffet, Charlie munger and mohnish pabrai. 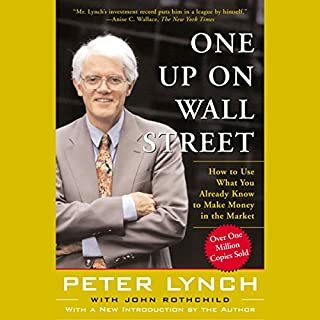 A must read for anyone with basic interest in investing. Good luck guy spier! Hope you do well. Guy's approach to life will inspire you. It's one of those books that make you want to jump up and get out there and live the life you were meant to! Good story behind the audio book what keeps you engaged at all times compared to other books. 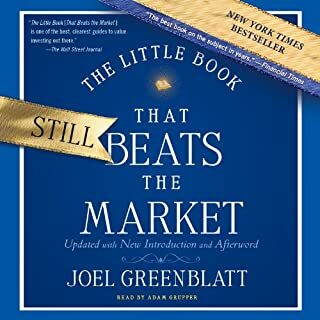 Gives a good back story, and shows the mind of a value investor. 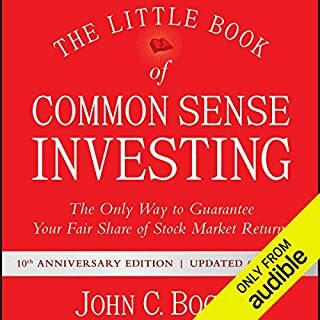 Great for beginners and people who have been investing for a while. 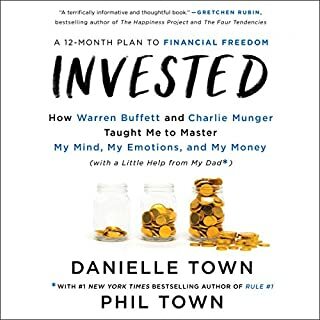 a great book not just for investing but for life in general. no matter what you do in life you can learn something valuable out of it. A well written examination of Guy's approach to investing, friendships and life in general. 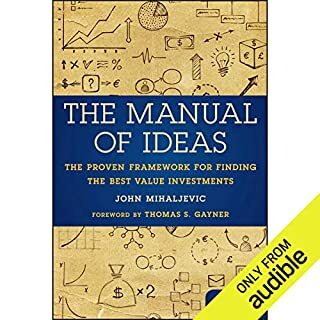 It is also a good guide on how to take the necessary steps to master ones foibles especially when operating in potentially volatile environment as stock investing. Not a long or complicated listen, perfect for the commute. What does Malk Williams bring to the story that you wouldn’t experience if you just read the book? I am the author of the book. I had originally wanted to narrate the book myself - to make it more authentic. But I was unable to find the time and Malk Williams stepped up to do it. I think that he has done an absolutely phenomenal job. He has a clear and sonorous voice that is faithful to meaning of the text and is far more pleasurable to listen to than my voice would have been. If you could sum up The Education of a Value Investor in three words, what would they be? Guy Spier didn't provide a technical how-to on how to analyze stocks, but that can be found elsewhere. What he did was enlighten me regarding the mindset an investor should have. I really enjoyed that a lot. Which character – as performed by Malk Williams – was your favorite? Beautifully narrated by Malk Williams. Did a great job narrating from Guy's view, and also did a fun Warren Buffet impersonation. What did you learn from The Education of a Value Investor that you would use in your daily life? Find a way to invest that suits me. In anything from trading frequency and using a checklist to office furnituring. Very happy to have listened to his book, thank you. What did you love best about The Education of a Value Investor? How candid and humble he was. His voice and accent sounded very similar to Guy's ( I listened to his talk at Google on youtube previously ) so the narrative felt authentic. 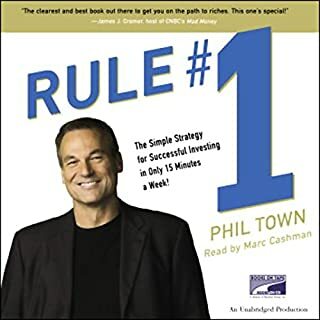 Guy talks about Think and Grow Rich , and he is very right, it is a great read for anyone with big goals in life. No, I would would just give them the spark notes. Warren Buffett is wicked smart, and try to copy him as much as possible to be successful. Hang around with successful people because they will make you better. Write people letters. No one does this anymore so when people receive letters it means a lot to them and can have huge longterm impacts. Wall street can be distracting. Create your own perfect environment. He talks about writing personal letters to people. All kinds of people about all kinds of things. I thought this was interesting and I am trying it myself. What about Malk Williams’s performance did you like? British accent is on point. 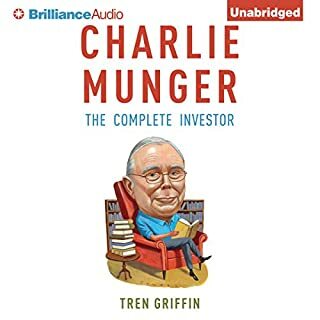 Most of the book is him talking about how smart Mohnish Pabrai and Warren Buffett are. So you might as well go read their books and learn about them because that is pretty much what he is telling you to do. High quality material and presentation. Guy Spier is very generous with his experiences and ideas. Take what suits you from this story and use it to improve your state of mind and life. What made the experience of listening to The Education of a Value Investor the most enjoyable? The way speaker narrates about Guy Spier's story is very enjoyable. After started listening, I could not stop and finished in two instances. One thing I really liked is his analysis of himself and admitting his fears and idiosyncrasies. I think understanding ones idiosyncrasies is very import to be a good investor. One thing I like about the book is the emphasis Guy Spier places on improving oneself as person by becoming more authentic and willing to help others. I really think it is true. I have seen that many times myself. When you help somebody, the same person may not help but it always comes one way or the other. fantastic book with applicable ideas as well as a self reflective process on desires, personality, and goals. overall I would recommend and the narrator was also fantastic and I would like to listen to other books narrated by him. I very much would like to have lunch with Guy Spier just to talk more about wisdom and good conversation. Did I mention the book was great? Guy Spier's candor about wall street, investing and living a fulfilling life is inspirational. 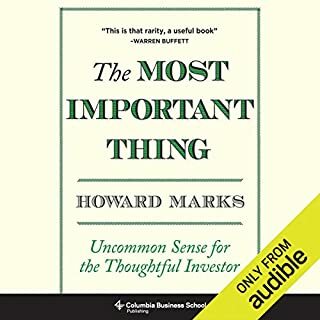 This book has reinforced the way I think about investing and life. Thank you Guy Spier. I think this is very original if Guy. 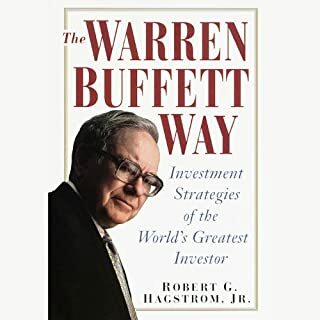 To us non Buffett genius category type people Guy brings things down to earth and how he has faced the challenges of being a value investor. I think it's important how he describes his humbling experiences for us all. great book. Will definitely listen to it a few more times.